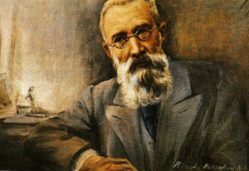 Nikolai Rimsky Korsakov was one of most inventive and skilled orchestrators of all time, and a major influence on Russian classical music. He had the ability to create astonishingly rich and creative orchestral sound worlds. His talent was not the product of extensive practice, but some innate, maybe even divine, gift. He was also a member of "The Five", that innovative group of Russian composers who blazed a trail by creating uniquely nationalist music. Rimsky Korsakov eventually became their most highly-regarded member and a central meeting point for musical life in Russia. Rimsky Korsakov was born in 1844 near St Petersburg, into a noble family. His parents were slightly musical, and noticed that their son had a perfect ear for music. But little Rimsky-Korsakov was more interested in literature than his piano lessons! Traditionally, the men in the family joined the military. So young Nikolai copied his much older brothers and joined the Imperial Russian Navy as a cadet. While in Naval College, Rimsky-Korsakov indulged his ears. He took music lessons, saw operas, and heard all sorts of new music. Little by little he fell in love with music. 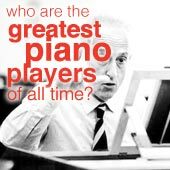 A highly talented amateur at this point, he'd already met some of the most well-known Russian composers by the time he was 18. He finished up his rousing First Symphony during a 3 year round-the-world cruise with the Navy. The exotic locations he visited also stamped vivid impressions in his mind, and no doubt inspired some of his lavish and oriental later music. The First Symphony was rough around the edges. But Mily Balakirev, the giant of Russian nationalist music, liked it. Rimksy Korskakov got more involved with The Five, and started composing more pieces. He even shared an apartment with Mussorgsky! The group encouraged each other and gave advice on their pieces. Nikolai, his renown spreading, became Professor of composition and orchestration at the Saint Petersburg Conservatory at 27. But he was overconfident, and teaching something which he had never properly learned himself proved very tough. He felt really embarrassed and angry with himself, so he went on a studying binge. He devoured everything he could find about music theory, mastering even the most obscure rules completely in 3 years. Eventually he even wrote his own book on the basics of harmony (I've read it, he knows his stuff! ), and "ended up becoming one of the best music theorists of his time." He stayed as a professor for the rest of his life, but also kept up his association with the Imperial Navy by becoming the inspector of brass bands. He also became the director of various musical institutions in Russia. Late in his life he was regarded as the greatest living Russian composer (partly because most of the other famous ones had died...), and one of the main hubs of musical life in the country. He was immensely successful in teaching, conducting and composing. What a well-rounded musician! In the 1880s he was impressed with the power and energy of Wagner's Ring Cycle, and was inspired to start composing more operas. In fact, he started composing ONLY operas for the rest of his life! He died in 1908 at the age of 64, from a throat and lung disease. Rimsky Korsakov's music is heavily inspired by Russian folk melodies and old legends. He wanted to pioneer a new style of completely Russian nationalist music, different in sound and feeling than the musty old European composers. So his music is full of jolly Russian tunes exotic rhythms, as well as an orchestral palette bursting with color and imagination. He invented loads of orchestral effects, and showed later composers what was possible. He's one of my top 3 favorite orchestrators! Rimsky Korsakov criticized his own work a lot, and often tampered with parts or even edited massive chunks of previously written pieces. He also edited the works of his buddies in The Five, polishing up pieces by the likes of Mussorgsky and Borodin so they could be performed without the audience covering their ears. Something which may have helped him with his amazing orchestrations is his synesthesia. This unusual trait means that his senses were a bit mixed up: he could actually "see" musical notes as vivid colors! Flight of the Bumblebee, a little orchestral excerpt from the opera the tale of Tsar Saltan. The frantic melody is one of the most recognisable pieces in the world, and it's by far Rimsky-Korsakov's best-known work. Sheherezade, a wonderfully enticing suite of pieces depicting stories from the 1001 Nights. 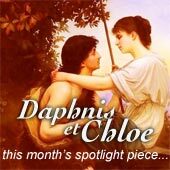 The titles (Festival at Baghdad, The Young Prince and the Young Princess) conjure up colorful images, and the composer's exciting and inventive orchestration really bring these pieces to life. The operas Sadko, Christmas Eve, May Night, The Snow Maiden... His operas are exciting worlds of supernatural magic, gods of the far-east, and mystical poetry. 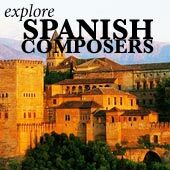 Capriccio Espagnol, a short suite of Spanish-influenced pieces. Russian Easter Festival Overture, a dazzling celebration of Russian culture, featuring explosively lively melodies. You might also be interested in the music of Alexander Borodin or Modest Mussorgsky, both contemporaries of Rimsky-Korsakov.